Orihime Inoue has Brown Eyes (which seem to change color at times) and long caramel hair with bangs behind her ears supported by hairpins. She does not remove her hairpins, except when sleeping, as they are worn in memory of her brother, and the manifestation of her spiritual energy power, the Shun Shun Rikka. Her hair is worn long in honor of the promise Tatsuki Arisawa once made to protect her. Her eyes are brown in the manga, but grey in the anime.. She also possesses a very hard head, which has injured her friends Uryū Ishida, Yasutora Sado, and Ichigo Kurosaki. The only person who has been able to damage her head has been Yachiru Kusajishi in a comical moment. Effect: Orihime's defensive technique. The incantation arranges Hinagiku, Lily, and Baigon into a triangle, forming a barrier capable of repelling anything on the far side. Because the barrier rejects negative events, it can also function as an airbag of sorts, allowing Orihime and anyone else nearby to survive a potentially lethal fall unharmed. It would seem her powers with this technique have improved as she was able to block an attack from Ulquiorra Cifer, the 4th Espada, in order to protect Ichigo Kurosaki. Despite the barrier breaking it was still an impressive feat. Effect: Orihime's healing technique, though it goes well beyond simple healing. The incantation summons Ayame and Shun'ō to form a half-oval barrier around whatever or whomever Orihime wishes. While active, the barrier repels all negative events inflicted upon anything within the barrier. No matter how extensive the damage may be (whether used on living beings or inanimate objects), the barrier can restore it to full working order, making it as if the object was never damaged in the first place. It can even resurrect the dead. The technique takes longer for more serious injuries, like losing a limb or an organ. Also, while Orihime can heal wounds quickly, it takes her longer to replenish the patient's Reiatsu. Large amounts of foreign spiritual pressure also make healing more difficult. This is the aspect of her power that piques Sōsuke Aizen's interest in her since, in Aizen's words, she "violates the realm of gods." It is suggested by Hachigen Ushōda that Orihime should be able to restore anything she wants without actually having a piece of it. Ichigo has noted that while inside the oval, he was unable to exit it, leaving him wondering if her Shun Shun Rikka had been able to do this before. Effect: Orihime's offensive technique. The incantation summons Tsubaki, who forms a thin barrier to either side of himself. By flying at an enemy, the barrier can reject anything to either side of it, thus cutting through enemies like a sword. While Tsubaki can cut through basically anything, Orihime's general dislike of combat and hesitance to use lethal force degrades the effectiveness of the technique, making him easy to counter and equally easy to injure. Backround: She initially appears with Tatsuki walking through the school corridor, discussing her odd tastes in food, which her best friend does not share. A distracted Ichigo Kurosaki collides with her and knocks her to the ground. After he apologizes, she acts strangely and begins to make excuses while fleeing the scene. Later, she is seen at her home being watched by the ghost of her brother, Sora. The next day, Ichigo and Rukia Kuchiki come across Orihime as she is walking home from purchasing groceries for dinner. When they find her, it is evident she has been in some sort of accident although she appears unsure if she was hit by a car or not. Despite this, Rukia notices a strange bruise on her leg which she later reveals she is sure was made by some form of Hollow, her theory confirmed when Acidwire attacks Ichigo who identifies him as the spirit of Orihime's brother. Orihime saves Ichigo by taking Acidwire's attack. Meanwhile, Orihime has Tatsuki over for dinner, revealing more of her crush when she becomes distracted by the thought of Ichigo's previous offer to walk her home. After dinner, both girls begin hearing loud noises after Orihime's teddy rips and falls from its shelf. It is then that Acidwire attacks and pulls Orihime's soul from her body, leaving the Chain of Fate unbroken so that she doesn't initially die. Horrified, Orihime witnesses the Hollow attack her best friend, who becomes scared and confused, even when Orihime touches her due to the fact Tatsuki can see neither her nor the Hollow. Ichigo soon arrives to attack the Hollow but still hesitates in finishing him off, being flung from the building in the process. Acidwire then reveals his true identity to Orihime, who is skeptical at first because she doesn't believe her brother would do such horrible things as try to hurt others, she only believes him truly when she sees his reaction to her hair-clips and thus becomes concerned when he and Ichigo begin fighting once more. Again, due to his identity, Ichigo hesitates and loses his sword as a result. Acidwire attacks Orihime and she embraces him during it, despite his exclamation that she should die for him. In the anime, Acidwire attacks Ichigo who is saved and shocked when Orihime takes the hit herself. Orihime apologizes to her brother for causing all this and results in him being able to temporarily crack his Hollow mask and regain some control over his actions. She awakens in time to bid him farewell before he sends himself to the Soul Society with a smile upon his face. While both Tatsuki and Orihime's memories are modified by Rukia, this event enables them to start developing spiritual awareness. 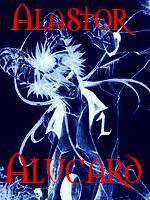 She once again encounters a Hollow when Uryū lures a massive number to Karakura Town for his challenge to Ichigo. At this time she tries to get her friends to run quickly from school, in actuality, to run away from the Hollow that was stalking them that they couldn't see. The Hollow, Numb Chandelier, uses her ability to control various students and forces them to attack Orihime, with a shocked Chizuru Honshō unable to prevent her left hand from clenching itself around #orihime's neck. The classmates begin surrounding Orihime and begin gripping her when Tatsuki arrives to defend her from the onslaught, confused by the actions of her fellow students. When Tatsuki tries to fend off the assaults and protect Orihime, she is controlled as well with on of the Hollow's seeds implanted within her. Seeing Tatsuki in tears brings back old memories of the days when Orihime was bullied for the color of her hair and when Tatsuki saved her, thus Orihime decides it is time for her to protect Tatsuki in return for their friendship. This desire forces a change in Orihime whose powers begin to manifest for the first time as she declares that the Hollow made a mistake in hurting her friends. Orihime then notices numerous spirit beings flying over her head discussing whether or not Orihime recognizes their existence. These six spirits, who call themselves Shun Shun Rikka, briefly explain their powers for Orihime, which she uses to defeat the Hollow and heal Tatsuki. Afterwards, Kisuke Urahara takes her and Yasutora Sado to his shop and he explains to the two about their powers. After Rukia is taken back to Soul Society, everyone immediately forgets about her except for Orihime and the other powerful people around Ichigo. She confronts Ichigo about this and highlights for him the possibility that even if he does rescue Rukia, she may still be captured and taken back to her world once more but despite this she already knows he's made up his mind to go rescue her. Orihime decides to join Ichigo on his rescue mission along with Chad, Uryū, and Yoruichi Shihōin as their guide. For this, Yoruichi informs them that they have to train in order to go to the Soul Society and not die. Orihime asks Uryū to train with her and Chad but he declines, the situation showing that Orihime is apparently the only person not freaked out by a talking cat. Their initial lessons with Yoruichi prove difficult and they are unable to unlock their powers once more until Yoruichi asks them to remember how they felt when their powers first manifested and her powers appear again. She is then seen congratulation Chad when he finally unleashes his power and yet destroys the building, having to run away afterwards. While the others leave with Isshin to find seats at the Fireworks Festival, Orihime stays and has a small chat with Tatsuki. Orihime chose to tell her that she was staying at her Grandmother's house when she was actually going to Soul Society and it appeared that Tatsuki knew more than she was pretending to about the situation. The two decided to enjoy their time together regardless. Orihime received the same message from Urahara as Ichigo and appeared upset that he thought she had no sense of humor. Orihime appears impressed and ecstatic when they enter the underground training facility at Urahara's Shop. Orihime, Chad, Uryu and Ichigo are lead by the cat form of Yoruichi into the Dangai Precipice World that connects both the world of the living and the Soul Society in order to achieve their goal of saving Rukia from execution. While running to Soul Society, despite Yoruichi warning her not to, Orihime used her shield against the Dangai cleaner, saving their lives but severely risking hers in the process, which annoyed their guide somewhat due to this risk to her life. After being forced to take a back seat against the giant Jidanbō Ikkanzaka and the failed attempt at entering the Seireitei, Orihime takes over the job of healing the guardian with help of the surrounding citizens. She appeared to have been very popular among the citizens for helping to heal the guardian despite her status as a Ryoka. When they reach the home of Kukaku, it is shown that Orihime is able to create the Kido cannonball fairly speedily and easy compared to the others. For the majority of their mission, Orihime is grouped with Uryū. Compared to the others, the two are fairly stealthy about their movements, attracting attention a total of three significant times while the others are fighting at basically every turn. Orihime protects Uryū and Aramaki from Mayuri Kurotsuchi using Santen Kesshun. Shortly after arriving, they fight Jirōbō Ikkanzaka of the 7th Division, Uryū dispatches him fairly easily. Orihime then gets the idea to steal a pair of Shinigami uniforms to blend in. When two possible candidates from the 12th Division show up, Uryū merely watches as Orihime takes them down single-handedly. She later mentions that Tatsuki trained her to fight at an equivalent level of a black belt in karate. However, when they come face to face with the captain of 12th Division, Mayuri Kurotsuchi, Uryū forces another Shinigami, Makizō Aramaki of 11th Division, to carry Orihime away. Later, she is able to reunite with Chad, Uryū, and Ganju Shiba, with help from Kenpachi Zaraki. While they manage to save Rukia, they are unable to stop Sōsuke Aizen, the mastermind behind the entire scheme, from departing for Hueco Mundo. Yammy lashes out at Orihime when she tries to protect Ichigo. The group's return marks the beginning of the school semester. However, the arrival of a new student, Shinji Hirako, brings along many troubling issues. Noticing the change of behavior in Ichigo, Orihime and Chad confront Shinji after overhearing his conversation with Hiyori Sarugaki. Before they can learn anything, Hiyori is carried away by Shinji. Shortly after the arrival of Shinji, the Human World is invaded by two Arrancar, Ulquiorra Cifer and Yammy Riyalgo. Orihime and Chad manage to save Tatsuki, who was present when the two invaders arrived. Ichigo arrives shortly after, but is then neutralized when his inner Hollow interferes with the battle. 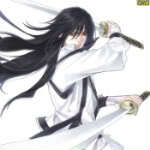 The three of them sustain massive injuries, with the spirit for Orihime's attack ability, Tsubaki, completely destroyed. They are saved by the arrival of Yoruichi and Urahara. This event prompts Soul Society to send a group of Shinigami to help defend the Human World, Rukia among them. While the return of Rukia helps to cheer up a depressed Ichigo, Orihime becomes conflicted with gratefulness and jealousy. She lets Rangiku Matsumoto stay at her house. While at Orihime's, Orihime tells Rangiku about her jealousy and Rangiku gets out of the bathtub naked. She goes on top of Orihime and tells her not to be jealous of Rukia. After the second assault on the human world, this time by Grimmjow Jaegerjaquez and five other Arrancar, Soul Society finally figures out the true agenda of Sōsuke Aizen and requests Orihime deliver this information to the Human defenders. She is able to track down Ichigo, who is at the Vizard base, and manages to pass through the Vizard's barrier without much effort. This feat amazes and impresses the Vizard Hachigen Ushōda, who created the barrier. Orihime tearfully saying goodbye to Ichigo after confessing her feelings towards him. Orihime is then summoned to meet Urahara at his shop. There, she is asked to not participate in the coming battle. Though part of the reason is Orihime's lack of combat ability, Urahara is really trying to prevent her from attracting Aizen's interest. Discouraged briefly, Orihime regains her confidence after talking to Rukia. She is further helped when Hachigen restores Tsubaki for her. She then joins Rukia in her training in Soul Society. Unfortunately, Orihime's ability does spur Aizen's attention. Upon seeing footage brought back by Ulquiorra, he decides to have her captured. A third invasion of the human world is ordered, intending to lure Orihime out. The plan is a success, with Ulquiorra intercepting Orihime as she passes through the tunnel. Threatened with the lives of those she cares for the most, she has no choice but to go to Hueco Mundo. Orihime is given a chance to bid farewell to one person, and she uses the chance to make a tearful love confession to a sleeping Ichigo. She comes close to kissing him but cannot bring herself to do it. Before leaving the Human World, she writes a cryptic line in a notebook, "Goodbye halcyon days." Orihime healing Grimmjow's lost arm. As she arrives in Las Noches, the fortress of the Arrancar, Orihime is ordered by Aizen to demonstrate her power to the rest of the Arrancar by restoring Grimmjow's missing arm. After she recreates it, Grimmjow also asks her to restore his number six tattoo, identifying him as one of the Espada. Upon completion of this task, Grimmjow butchers Luppi to get his rank back, much to Orihime's horror. Orihime's appearance during the Hueco Mundo arc. Orihime is assigned to a modest room as Ichigo, Uryū, and Chad attempt to rescue her. She receives a new outfit similar to that of an Arrancar and is informed by Ulquiorra that Ichigo and his group (which now includes Rukia, Renji, and a trio of friendly Arrancar) are attempting a rescue on her behalf. She appears to have converted to Aizen's side and as a supposed token of his trust in her Aizen shows her the Hōgyoku, which he explains is necessary for both the creation of Arrancar and the royal key. However, this only gives Orihime a sense of purpose, and she resolves to destroy the orb with her powers by erasing its existence altogether. As Ichigo's group separately make their way through Las Noches, she senses Chad's defeat at the hands of Nnoitra Jiruga as Ulquiorra walks in to her room. As he tries to convince her to eat, she repeatedly insists that Chad is still alive. Frustrated, Ulquiorra tells her that all her friends are eventually going to be defeated and that only fools come into Hueco Mundo with their powers untested. Orihime responds with a slap across Ulquiorra's face. Ulquiorra leaves as Orihime breaks down and starts crying. Loly and Menoly later break into Orihime's room to torture her, only to be killed by Grimmjow shortly thereafter. Orihime is at a loss as to why he'd do such a thing, so Grimmjow explains that he's returning the favor for his arm. Grimmjow then grabs Orihime by the collar of her uniform and hoists her up, explaining that she now owes him another favor. Before they depart, Orihime revives the two Arrancar he killed, leading them to refer to her as a monster because of her ability to bring back the dead. After chaining her arms together to prevent her from escaping, Grimmjow drags Orihime to Ichigo, wanting her to restore him to full strength so they can have a fair battle. Orihime has trouble doing so due to the large amount of leftover spiritual pressure from Ulquiorra's attacks. Ulquiorra himself arrives in short order, having discovered Grimmjow's plans. Grimmjow uses a Caja Negación to imprison him, then has Orihime finish what she's doing. Though reluctant at first, Ichigo tells her to obey Grimmjow so they can fight. After the two begin to battle, Orihime consoles Nel, telling her that Ichigo will win if he says he will. After Ichigo dons his Hollow mask, she becomes shocked at the cold, vicious fighting style Ichigo displays and wonders if it really is him. With encouragement from Nel, Orihime is able to lend her full support to Ichigo allowing him to gain the upper hand and deal a damaging blow to Grimmjow. After Ichigo stabs through Grimmjow and ends the fight, he grabs Orihime and prepares to leave to find Rukia and Chad. However, they are interrupted by the appearance of Nnoitra Jiruga, who slashes the defeated Grimmjow in order to take over the battle. She attempts to assist Ichigo only to be tackled by Tesla, who prevents her from trying to break free by threatening to shatter her Shun Shun Rikka. After Nnoitra gets hit by a double Cero blast from Nel, Tesla rushes to his aid releasing Orihime, she in turn rushes to Ichigo's side only to see Nel comically hug Ichigo. Orihime tells Nel that if she keeps hugging Ichigo like that he is eventually going to pass out, which he does shortly after. Not long after that Ichigo wakes up and goes to aid Nel in her battle against Nnoitra, only to have Tesla recapture Orihime shortly after he leaves. After Nel falls, Ichigo goes up against Nnoitra, but is stopped by Tesla, who releases his Zanpakutō. Nnoitra then grabs her, and sticks his fingers in her mouth telling her not to scream and watch as Ichigo gets killed. Tesla, however, is swiftly cut in half upon the arrival of 11th Division Captain Kenpachi Zaraki, and Nnoitra immediately throws her aside to face Zaraki. Shortly after Kenpachi finishes Nnoitra off, Orihime rushes to heal him, only to be stopped by Coyote Starrk and brought back to Aizen. Aizen explains that his reasons for kidnapping her have always been to draw the Shinigami to Hueco Mundo, keeping them preoccupied while he destroys Karakura Town. Her purpose fulfilled, he leaves her behind, giving her permission to reunite with her friends, this however is not made possible due to Ulquiorra who stands between her and Ichigo who has come to take her back. Orihime is now witnessing the battle between the two. Personality: Orihime is friendly, humorous, sensitive, and kind. She comes off as naïve and rather clueless, which is at odds with her exceptionally high marks in school. Additionally, according to Tatsuki, Orihime has the fighting skill of a black belt. Her cooking style can be described as very bad, disgusting, or, more often strange to the point that aside from Rangiku Matsumoto, no one would think it delectable, and is one of the running jokes in the series. Orihime has a tendency to rush into situations without thinking, sometimes leading to embarrassing or even dangerous consequences. She also tends to have an overactive imagination and gets carried away thinking of implausible scenarios, such as initially fantasizing a date with Ichigo, later ending into her becoming a boxing champion prior to being shot. Aside from Rangiku Matsumoto and possibly Tessai Tsukabishi, no one shares Orihime's tastes. Her favorite food is red bean paste, and she likes putting butter on sweet potatoes. She enjoys cheese and butter most of the time, especially butter on baked potatoes. She also likes Cake (sometimes but not always) rice and ice cream( as seen eating in the anime) She tends to zone out with her mouth open and loses track of what she was thinking or dreaming about. Orihime has feelings for protagonist Ichigo Kurosaki. This leads her to be jealous of the relationship Ichigo and Rukia Kuchiki share despite her friendship and admiration of both of them. Through her expanding role in the manga, Orihime was more happy and goofy at the start of the series, but later arcs deal with her feelings of inadequacy and inner turmoils. Orihime lives by herself in Karakura Town, where the story takes place, and is supported by relatives living elsewhere. Previously, she had lived with her older brother, Sora, who was fifteen years older than her. She and her brother were raised by parents who did not want children who were different. When Sora turned eighteen, he ran away with Orihime, who was three years old, and raised her since. For nine years, Orihime and Sora lived in harmony until one day, Sora was wounded in a car accident and died.